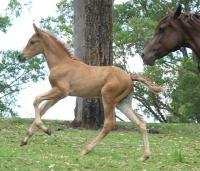 Galatea is a gorgeous young mare with beautiful conformation and excellent movement. 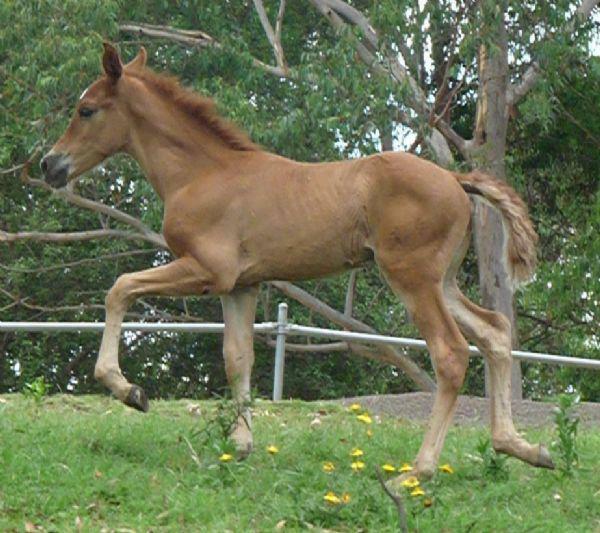 She is a much darker chestnut than her older full sister Olympia, more compact in build and has more elevation in her movement than Olympia did at the same age. Galatea passed her revision with excellent marks in particular for her movement.